A recent study published in the Journal of Linguistic Anthropology has successfully determined the most efficient way of identifying whether or not a person is awful, in every sense of the word. Surpassing the formerly overused term “amazeballs”—the undefeated front-runner since 2010—“yassss” has steadily climbed its way out of obscurity and into the mainstream. It is now regarded as the most reliable indicator of whether a person is terrible, without error. Although the word has been used unironically for years, pop icon Nicki Minaj propelled the term into the public vernacular in 2014. 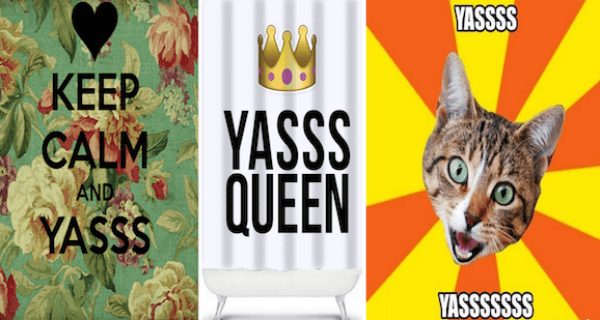 Most recently featured on the Comedy Central series Broad City, “yassss” was officially sealed as the most ubiquitous phrase of 2015, overused by otherwise boring and unoriginal people who are still, somehow, productive members of society. “Amazeballs” can still be found within the lexicon of the most terrible people, and is still holding on as a close runner-up, with a direct correlation to the use of bluetooth technology that has continued to repel the vast majority of the general population since 1998.